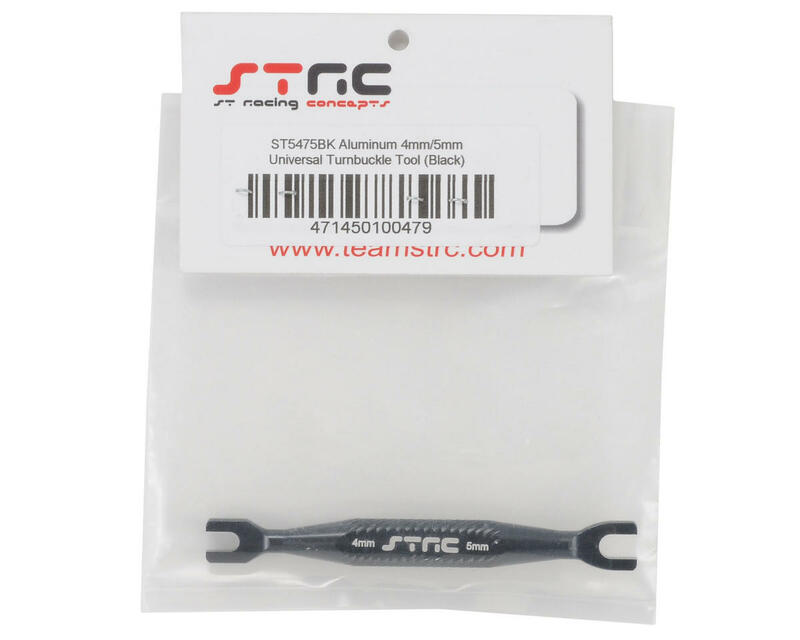 This is a ST Racing Concepts Aluminum Turnbuckle Wrench, with 4mm & 5mm ends. 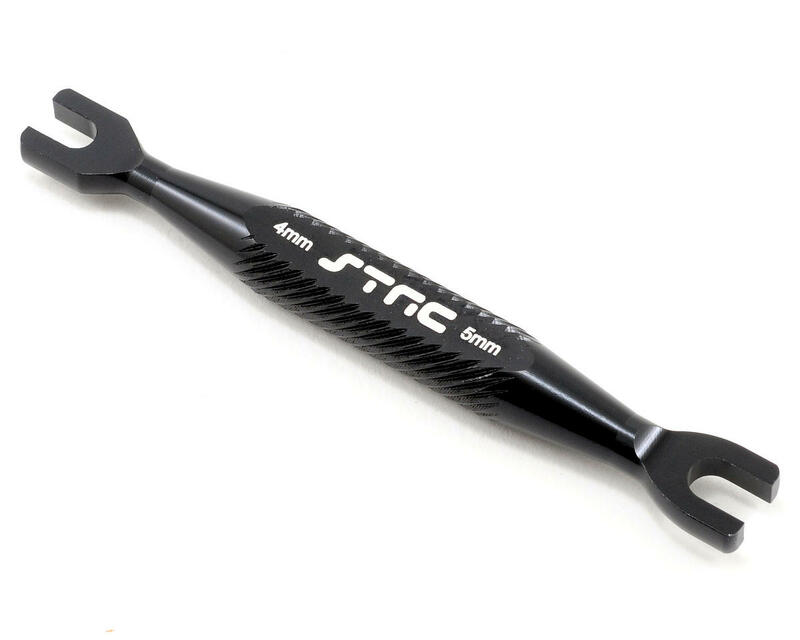 This light weight wrench has been CNC machined to have exact fit over 4mm turnbuckles (like ones found on Traxxas Slash, Rustler, Bandit and Stampede, or all popular on-road touring cars today) and the 5mm turnbuckle adjustment nut on the T-Maxx, E-Maxx and Revo, or any vehicle that uses a 5mm size turnbuckle. This is a great tool to use when tuning your favorite R/C racing machine.